'Blandine Le Blanc 2014' IGP Côtes du Lot and 'Marcel Malbec 2014' IGP Côtes du Lot. In their quirky packaging and excellent value for money, these wines are set to be a sure fire hit with many of you. Download the full tech sheets here. Both Marcel and Blandine always had bright ideas and were considered visionaries in their time. Marcel MALBEC left his native Belgium and cycled through France, settling in Vire-sur-Lot where he produced his first wine in 1892. 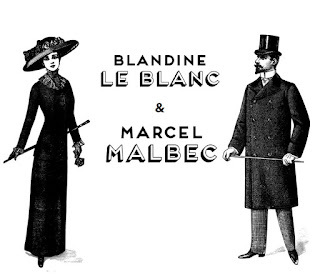 Blandine LE BLANC always took the time to do things right in the cellar and enjoyed watching her wines mature. Always at the height of fashion, Blandine enjoyed the finer things in life and liked to host and share her wines with friends. When she met Marcel, she fell in love with this daredevil whose boots were as polished as his wines were. Ahead of their time, they chose to live life together in the fast lane, working hand in glove to share their passion for their authentic French wines. The 'Blandine Le Blanc 2014' IGP Côtes du Lot packs a punch at only £4.84, blending 60% Colombard with 40% Ugni-Blanc to create a tropical, aromatic white with spicy undertones. Our new 'Marcel Malbec 2014' IGP Côtes du Lot is as pure as it gets, offering up lashings of plum and blackberry, and that velvety, soft, round mouthfeel that makes Malbec so seductive. Congratulations to Luigi Bosca for securing their Malbec DOC 2013 in Wine Spectator's 'Top 100 wines of the year 2015'. 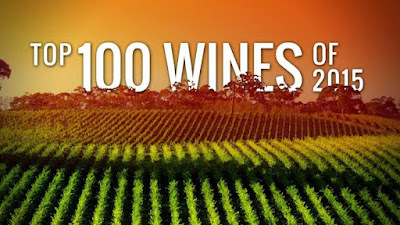 Each year Wine Spectator editors survey the wines reviewed over the previous 12 months and select their TOP 100, based on quality, value, availability and excitement. This annual list honours successful wineries, regions and vintages around the world. 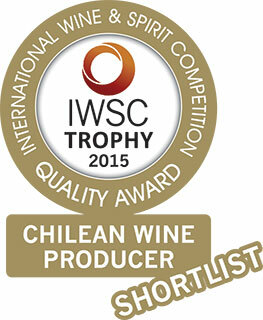 We're delighted to communicate some happy news this week from Bouchon Family Wines that they've been announced as a finalist in this year's IWSC as Best Chilean Winery 2015. We'll keep our fingers crossed for them until the 26th November when the results will be announced - watch this space!